The Mission of the Beaufort Housing Authority is to provide quality affordable housing to low- and moderate-income families and individuals in a safe community environment and to assist those we serve to achieve self-sufficiency. Besides providing affordable housing, the Beaufort Housing Authority strives to improve the lives of all our Residents by offering training and educational opportunities that develop individual skills, self -sufficiency and confidence. Our programs and services aid in the personal and professional development of our Residents. Family Self Sufficiency is one of the many programs offered that provides a brighter future for our Residents. Please visit our Rental property interactive map for affordable housing locations, directions & details on the various housing available. There is also a link, from our Rentals to view properties located in Beaufort County that are available for rent with Housing Choice Vouchers. 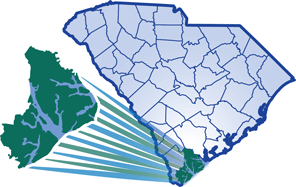 Our LowCountry Housing & Redevelopment Corporation, a nonprofit entity of Beaufort Housing Authority, has been established to improve affordable housing options within Beaufort County.